Bro. Joe Dean was invited to share the story of He Cares to the World Vision employees in Quezon City. After his sharing, the President of World Vision, Mr. Jody dela Cruz, stood and gave a very moving and powerful response. He thanked He Cares for “being the answer to his question -“what is missing with our work at World Vision?”. 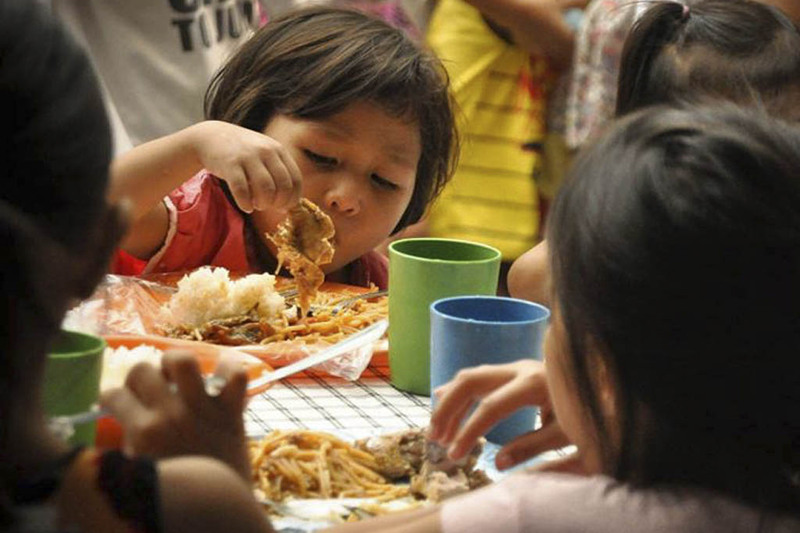 Feeding Party starts at 8am–12nn. 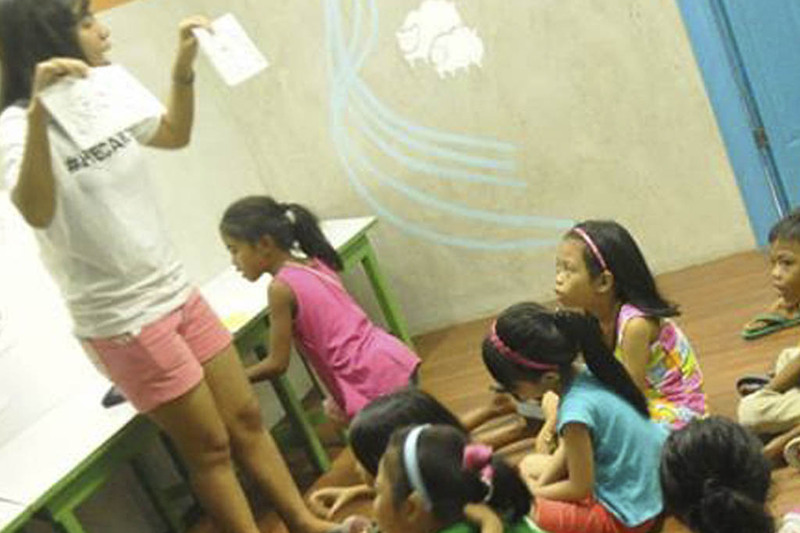 About 400 kids from the most depressed areas in Quezon City gather every Saturday . For what? 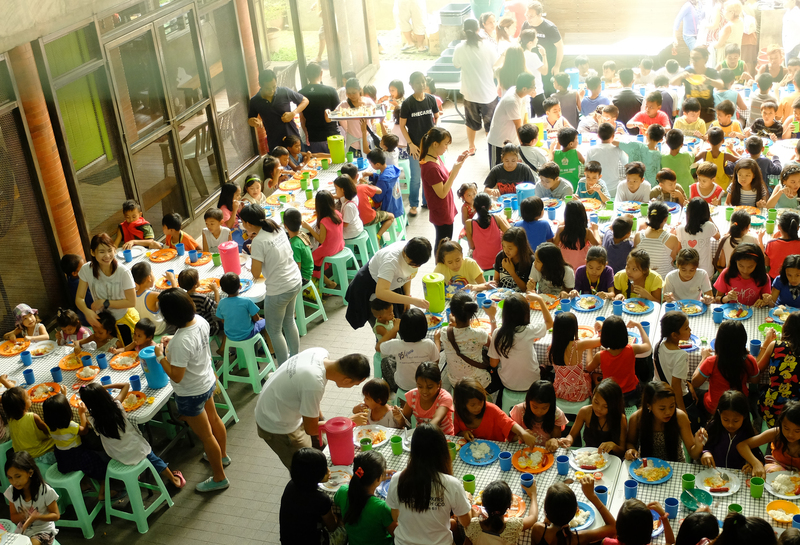 He Cares has made it a habit to throw a party every weekend for these impoverished children. For the past 20 years, different individuals, groups and corporations have played hosts to these parties. JULY 20, 2016 – Six household boys moved into one unit in the He Cares building and have become the first official residents here. They are accompanied by Patrick Requinala, the house “kuya” of these kids. During their stay, He Cares hopes for these boys to develop social and daily living skills, as well as the development of their personalities and their conduct. restoring their hope, and helping them to make a meaningful contribution to the world. Bro. Joe Dean was invited to share the story of He Cares to the World Vision employees in Quezon City. After his sharing, the President of World Vision, Mr. Jody dela Cruz, stood and gave a very moving and powerful response. He thanked He Cares for “being the answer to his question -“what is missing with our work at World Vision?”. After listening to Joe Dean, Mr. dela Cruz realized that what makes it work with He Cares is that He Cares has remained good listeners of God’s heartbeat. Mr. dela Cruz shared the similitarities between World Vision and He Cares. Firstly, its founder, Bob Pierce, started off with streetchildren, very much like Joe Dean. Secondly, Bob Pierce began with a meager $5 while Joe Dean used his P 20. 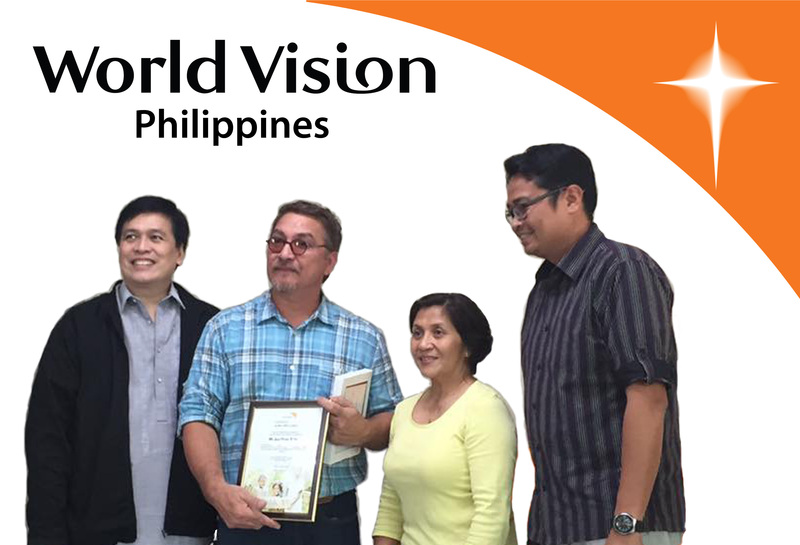 According to him, World Vision recognizes yearly NGOs worldwide which undertake similar endeavors by awarding them with the prestigious Dr. Robert W. Pierce Award. This year, the Philippines nominated 60 entries and 2 got into the top 3. The first place went to an African NGO and one of the 2 top placers was HE CARES. Special thanks to Tina Alejandro-Burke and Xenia Legazpi for taking care of the nomination process. ALL GLORY TO THE GOD WE SERVE! He Cares always looks forward to Fra’s visit because Fra is family. His visit means lots of laughter and rainfall. But his presence also means serious meetings because he scrutinizes the accounting and finance of He Cares. What is so admirable with this man is his humility. He meets individually with each Program Servant and asks questions in the most gentle manner. He is never intimidating given his impressive educational and business backgrounds. Fra and his friends at Belfast support the Back-to-School Program where they sponsor kids from the elementary level up to college. He Cares truly appreciates what he is doing travelling 7,100 miles from Ireland and being in a plane for 30 hours to show his support to He Cares. I do a mission trip every year-Three years ago two books majorly changed my outlook on how to truly help the poor: "When Helping Hurts", and "Toxic Charity". He Cares is the most effective Mission I have helped so far, they not only feed street children, they get involved with families and try to encourage poor people to be entrepreneurs (teach a man to fish, he eats for a lifetime). Though He Cares has hundreds of street children to tend, the staff was great to react to the needs of a few. Right now we are working to help save an 8 year old boy's leg from being amputated - he is living under a bridge with his pregnant mother and has an infection that went all the way to the bone. Jeremiah - 38 - Missouri, USA. 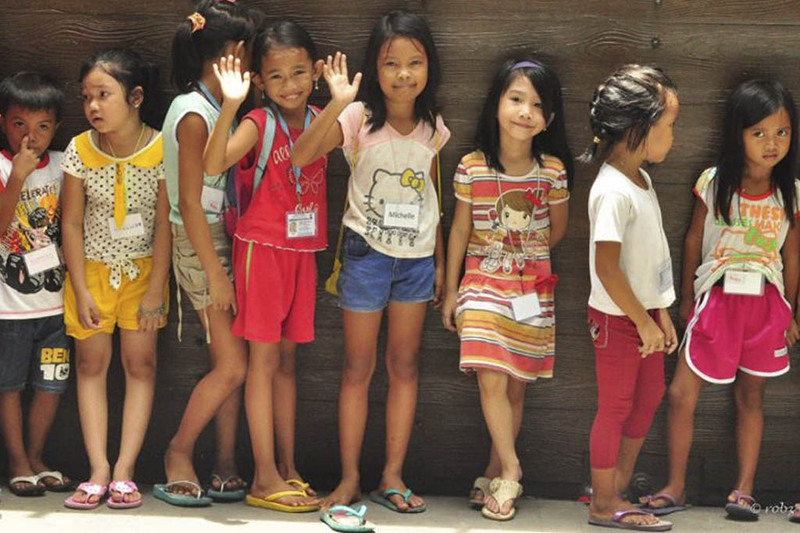 He Cares Mission helps the street children of Metro Manila by providing the basic needs like food, clothing, education and medical assistance. Your donation will enable He Cares to care full-time for a child living on the street. This will cover food, medical, clothing and in-house training costs. Your donation will enable a child to get a school education, by covering tuition and travel expenses. Your donation will cover living and education expenses for one child. 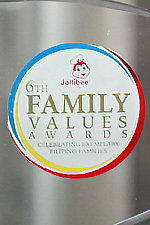 He Cares was awarded by Jollibee for FAMILY VALUES AWARD. In January 2016, a group of young men and women who serve at the Kids’ Ministry of the Light of Jesus FEAST Bacolod noticed the streetchildren near the venue of their gathering. 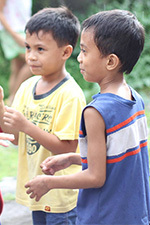 Soon after, these guys began to mingle with these kids and served them simple snacks. This went on every Saturday with new activities being introduced like basic reading, prayers, and play. After 6 months, the group asked Bro. Joe’s help in terms of forging a tie-up with He Cares. So on September 10, 2016, the He Cares Staff from Manila came in full force to Bacolod. Bro. 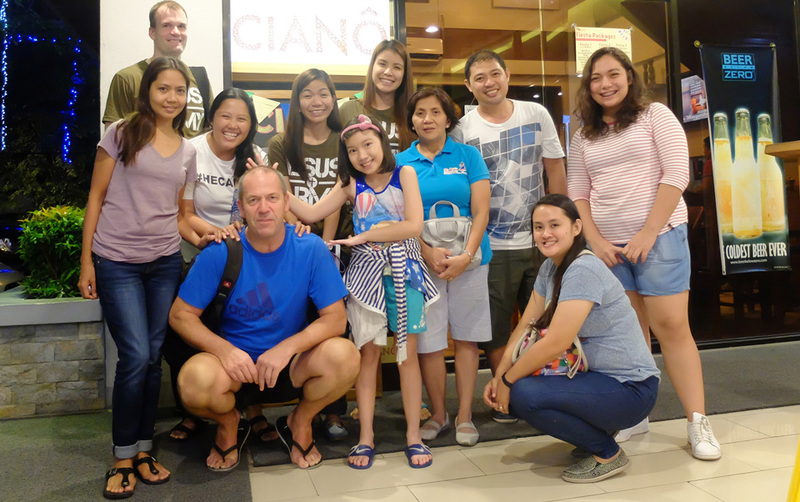 Joe Dean met with the Bacolod Team and shared about the vision, mission, and programs of He Cares. All the Program Servants were present to render support. This was a great opportunity to come face to face with about 50 kids who were handled effectively by the Core Team and the volunteers. He Cares brought schoolbags containing school supplies for all these new kids. The official launch took place over dinner at the Palawud Restaurant by the bay. Bro. Joe Dean Sola presided over the meeting where he answered all the queries and concerns related to this new relationship with Bacolod. On September 1, 2015, He Cares warmly welcomed Sheing to its fold of missionaries. In time, the He Cares staff met with her friend of 10 years, Jun, who is an Electrical Engineer for an international cargo ship. In October 2015, Jun and Sheing got engaged and tied the knot on September 8, 2016. Jeffrey Caoagdan is one of the fathers of He Cares scholars. He was electrocuted 3 years ago and suffered from third degree burn all over his body. 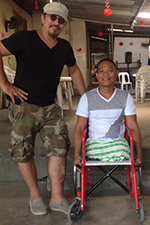 Both legs were amputated because of the severity of his condition. He was given 20 percent chance to survive. Miraculously, he survived physically but was damaged emotionally. He became depressed and hopeless as each day passed. He Cares came to support him through counseling and visitation. He regained strength and found a reason to live again. He is managing his own grocery store with the help of his wife. Melanie Listana-Santa Ines, was one of our success stories. Melanie was a young teenager when she first joined He Cares in 2007. She walked into our premises together with her friends. Bro. Joe Dean asked them if they needed help in pursuing their studies. Melanie was so eager to go to college but knew that her parents could not afford to send her to school. On her own initiative, she sold plastic bags in her spare time. Bro. Joe Dean, in partnership with Children of Mekong Foundation, chose her to be part of the Balik-Aral Scholarship Program. She exhibited dedication and perseverance throughout her college life. 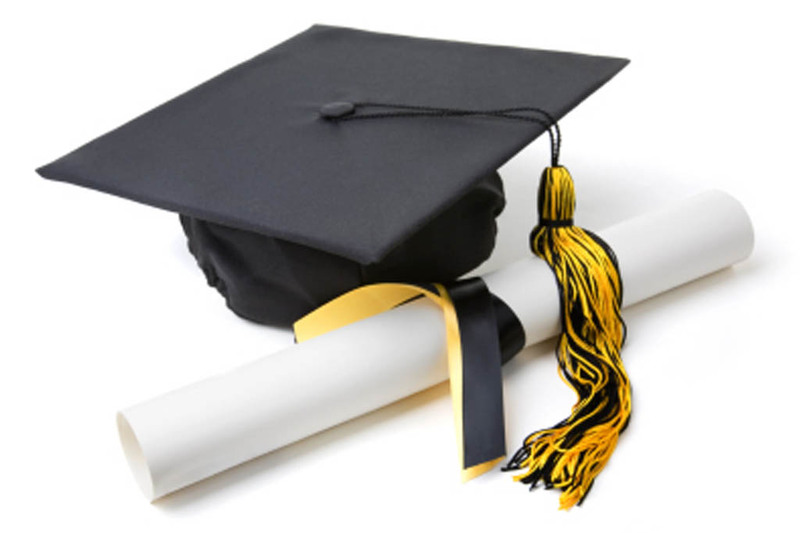 She graduated with a degree of A.B.Architecture from the Technological University of the Philippines. Right after graduation, she landed a job with one of the biggest Engineering companies in the Philippines. 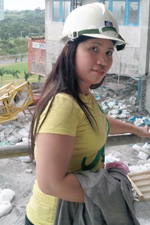 She tried her luck in Dubai and became a successful architect. Melanie returned home last December 2015 to get married in Sta. Maria, Bulacan. On her special day, she was overflowing with joy as she watched her family get settled in the new home which she bought for them in a subdivision nearby. 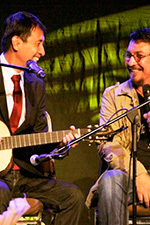 Bros. Bo Sanchez and Joe Dean Sola go a long, long way. They became friends in 1985 when Joe Dean joined the Light of Jesus Family. Bro. Bo became Joe Dean’s pastor and best friend. They even lived together for 5 years to discern their state of life. 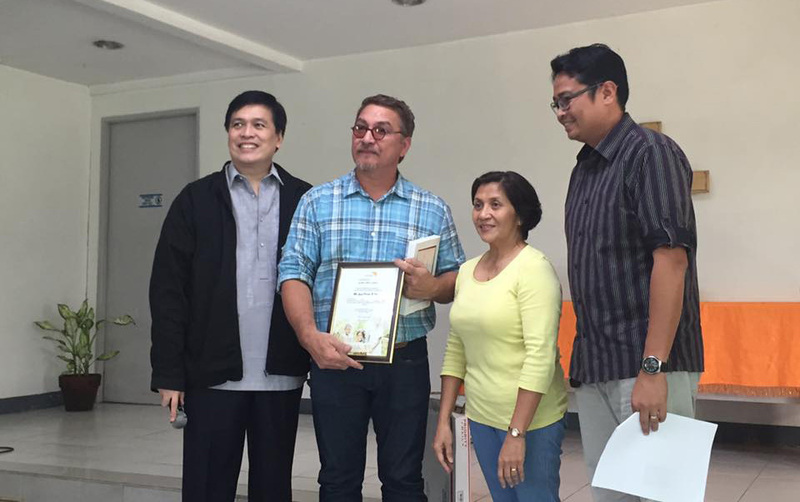 When the Light of Jesus Community purchased a 5 hectare agricultural land in Montalban, Joe Dean became Bro. Bo’s foreman in the now called “Anawim”. In 1995, Joe Dean got married and pursued God’s calling for himself and his wife. He went to Bro. Bo and bade the Light of Jesus Community goodbye, but only after getting the blessing of his beloved pastor. Bro. Bo gave his full support to Joe Dean’s undertaking and promised him he will be there for him forever. The friendship of these two God-fearing men has passed the test of time. He Cares Mission is one of the many ministries that is supported by the Light of Jesus Family to date. Bro. Bo has remained a trusted friend, not only of Joe Dean, but of the entire family of He Cares. Copyright © 2016, HE CARES MISSION. All rights reserved. Reproduction in whole or in part without permission is prohibited. There are more than 1.5 million streetchildren in the Philippines - about 70,000 of them in Metro Manila alone. Join us in the fight to get them off the streets and into loving homes.